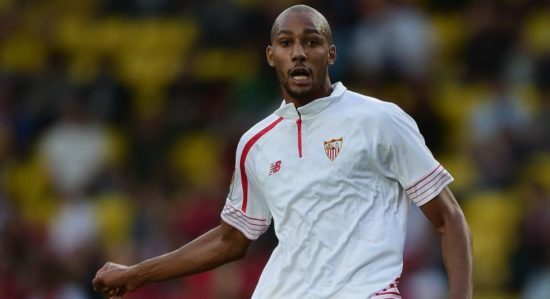 Arsenal are to pay £35m for Sevilla’s star midfielder Steven N’Zonzi. According to report from Sevilla’s director of football Joaquin Caparros, the club has remained firm and will not sell the 29-year old player unless the asking price is provided. Also, a report from Sky sources says the World cup winner transfer talk to Arsenal was held but it will take Arsenal to sell a player before they can meet up to the required amount. The French professional football player previously played for Blackburn Rovers and Stoke City in the English Premier League before joining Sevilla. He signed a four-year buyout clause of £30million 0n 9 July 2015, He helped Sevilla win the UEFA Europa League in 2015-16 and was also part of the France winning team in the just concluded 2018 FIFA World Cup as he made five appearance including the final victory match against Croatia. Sevilla’s coach Caparros stated in an interview with Spanish radio station Cadena Ser “Steven has two years remaining on his contract… We have not received any offers for him and I will say the same to any clubs who may be interested as what we said with Lenglet- he has a buyout clause and its £35million’’. N’Zonzi seems to be a great asset if obtained by Unai Emery of Arsenal as his defensive midfield skill is applauded with a good passing ability and being able to cover long distance during matches but the slated amount will have to be provided to see him play for Arsenal. It is now left for the Gunners to put things in order if they want to secure the player as the transfer window is closing soon.